In this article, you will find how Weglot supports Right To Left (RTL) languages translations. 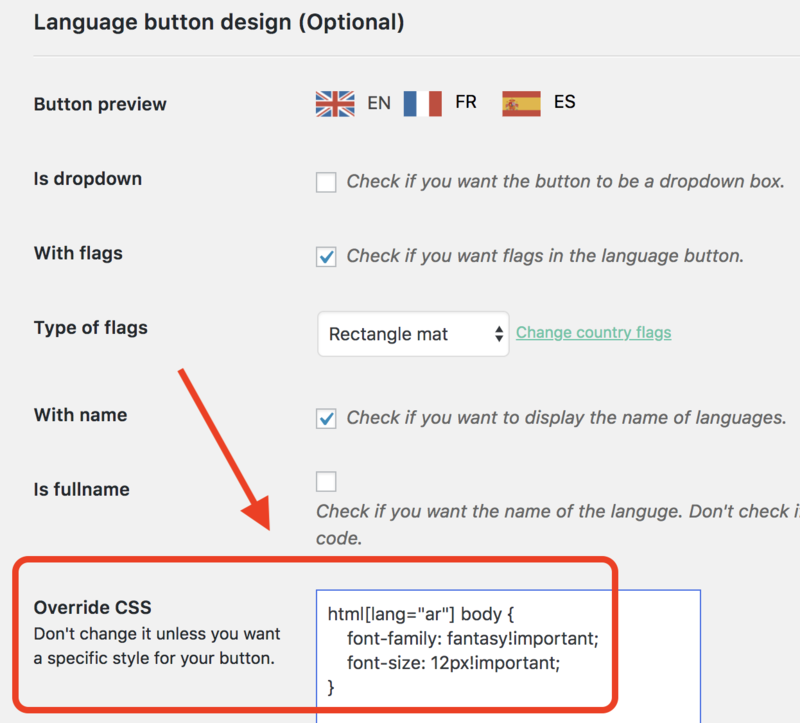 How to customize your RTL languages layout? You can go on your Shopify Dashboard > Apps > Weglot > Custom CSS and paste some CSS rules to customize the layout of your RTL languages. This rule will apply only to the Arabic version and will change its font family to fantasy and its font size to 12 pixels. Sometimes, your pages might not be fully properly displayed in RTL design. - First check with your inspector if the CSS rule direction: rtl; applies to the concerned content. If not, please add it to your Weglot Override CSS.